It involves digging of very small tunnels, usually only 3-4 feet high, which workers (often children) enter and extract coal. O P Singh, professor of environmental studies at North Eastern Hill University (NEHU) in Shillong, told The Indian Express that rat-hole mining is broadly of two types. “In side-cutting procedure, narrow tunnels are dug on the hill slopes and workers go inside until they find the coal seam. 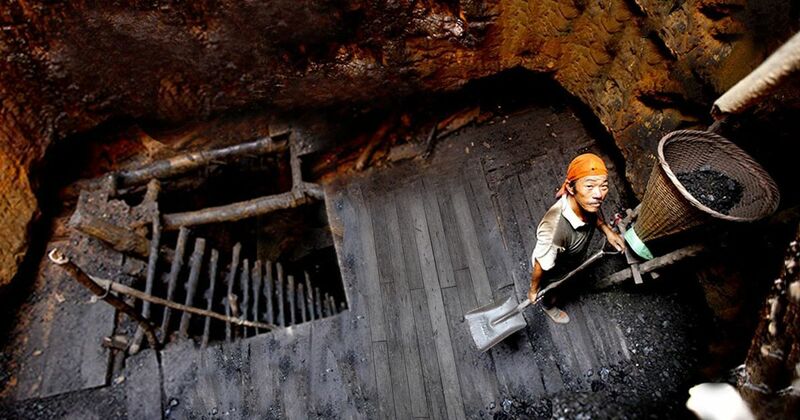 The coal seam in hills of Meghalaya is very thin, less than 2 m in most cases,” he said. In the other type of rat-hole mining, called box-cutting, a rectangular opening is made, varying from 10 to 100 sq m, and through that is dug a vertical pit, 100 to 400 feet deep. Once the coal seam is found, rat-hole-sized tunnels are dug horizontally through which workers can extract the coal. When was it banned, and why? The National Green Tribunal (NGT) banned it in 2014, and retained the ban in 2015, on grounds of it being unscientific and unsafe for workers. The state government has appealed the order in the Supreme Court. Has the NGT ban not helped check this? Following the mine collapse, Chief Minister Conrad Sangma said in a video that illegal mining does happen, and promised appropriate action. Agnes Kharshiing, a leading campaigner on issues including illegal mining, and her colleague Amita Sangma were attacked in East Jaintia Hills last month while trying to locate an illegal mine. “Activists speaking out have been threatened or attacked… Political elites are part of the nexus and this mafia is very powerful and dangerous,” activist Angela Rangad, member of the group Thma U Rangli Juki, told The Indian Express. But does Meghalaya not have a policy? The NGT finds the 2012 policy inadequate. The policy does not address rat-hole mining and instead states: “Small and traditional system of mining by local people in their own land shall not be unnecessarily disturbed.” In its 2015 order, the NGT observed: “The State of Meghalaya has promulgated a mining policy of 2012, which does not deal with rat-hole mining, but on the contrary, deprecates it.